On February 5, 2014, three Unidata Program Center staff members paid a visit to Professor Sam Ng and his collaborator Chris Kimmett at Metropolitan State University of Denver. We had the opportunity to sit in on Professor Ng's “Weather Analysis Techniques” course for undergraduate meteorology majors in the MSU department of Earth and Atmospheric Sciences. MSU-Denver is the recipient of one of Unidata's 2014 Community Equipment Awards. Their proposal solicited funds to update the meteorology program's Local Data Manager (LDM) server to better handle current data loads and also serve as a beta-test site for the AWIPS II Environmental Data EXchange (EDEX) server, giving students the opportunity to the National Weather Service's most up-to-date forecasting and weather analysis software package. 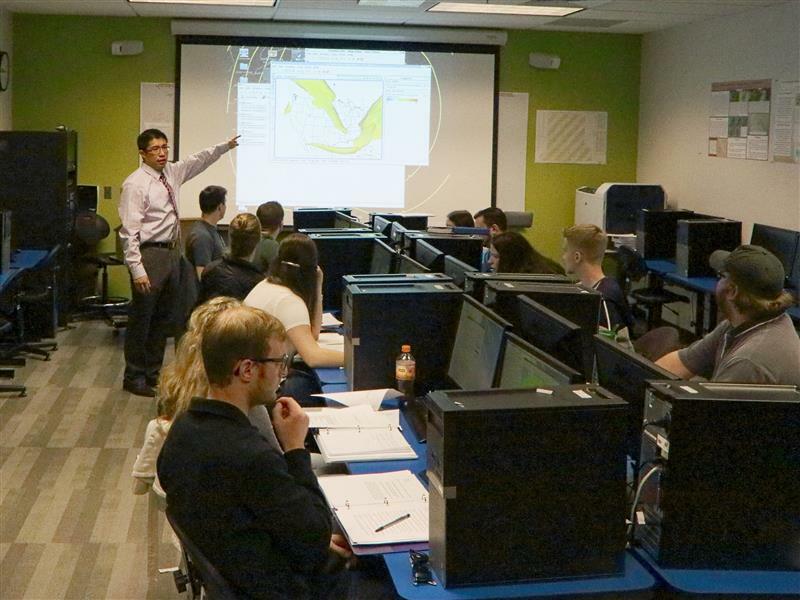 The grant also funded upgrades to the MSU-Denver meteorology department's computer lab, allowing students to access the AWIPS II CAVE client and improving 3-D visualization performance for Unidata's Integrated Data Viewer (IDV).